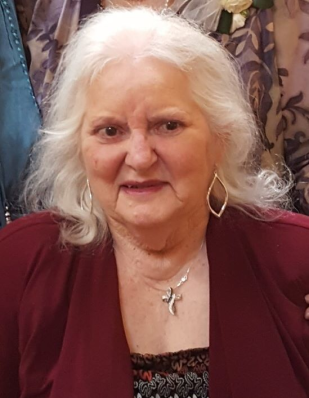 Mrs. Virginia Smither went to be with the Lord in her home in Tool, Texas alongside family on Friday, January 11th, 2019. Virginia was a member of Restoration Church in Gun Barrel City, Texas and will be remembered by all who knew her for her endless amounts of passion, love, wisdom, generosity, kindness, as well as studying, teaching, and sharing the love of Christ to everyone she met. Virginia was born on August 3, 1939 in Lufkin, Texas and moved to Fort Worth, Texas with her family during WWII. She attended University of Texas at Arlington where she earned a Bachelor Degree in business (1960). Virginia met her soulmate, Jackie Lee Smither, during this time and they went on to marry on July 16, 1959 in Fort Worth, Texas. Together, they worked toward keeping Jesus as their center focus through their involvement with the Dallas Chamber of Commerce and their church, Hope Lutheran in Dallas. Virginia attended and graduated from Christ for the Nations Bible college in 1981. Shortly thereafter, she and Jackie moved to Australia where they spent 20 years as missionaries. Throughout her life, Virginia has made following Jesus her main focus and has traveled throughout the world sharing the love of Christ everywhere she went. Virginia noted a lot of her notable and miraculous life events in her anthology of stories titled “An Ordinary Woman and Her Extraordinary God” (2004). Virginia is survived by her husband, Jackie Smither; her daughter Jenny Sohasky (Stanley); her grandchildren Ashley Smither, Chalahn Graham (Joseph), Casey Sohasky, Mikaela Sohasky, Maeghan Sohasky, and Josiah Sohasky; great-grandchildren Malachi, Serenity, and Judah Graham; her sisters Claudell Potter and Wanda Stimson (Ron); and her nephews Thomas Potter (Mary), Christopher Potter, Mark Potter (Elena), Robert Potter (Luisa), Daniel Fletcher (Aissa), and Gary Potter (Sharon). Mrs. Virginia Smither is preceded in heavenly reunification by her parents, Dell D Odum (1988) and Thelma Coleman Odum (1989); her daughter Dina Marie Smither (1967), and her son Michael Dell Smither (1988).